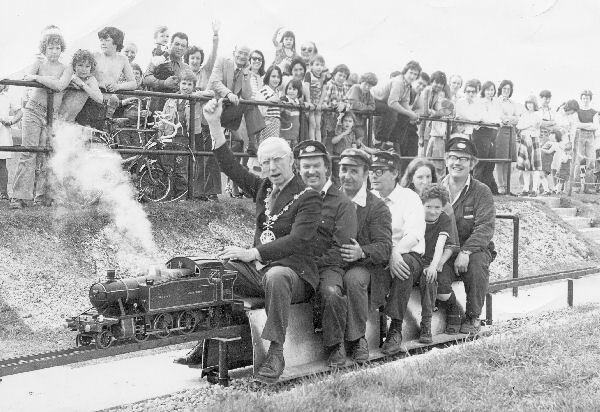 The Mayor of Gravesham opens the first track extension. The track was originally a 600ft long oval. The first extension added 60ft to each of the two straights producing an overall track length of 720ft.